Newspaper redesigns — both print and web — are a dime a dozen, as media companies try desperately to figure out how to balance the needs of their print readers with the shifting demands of a real-time news universe in which they no longer own the platform. 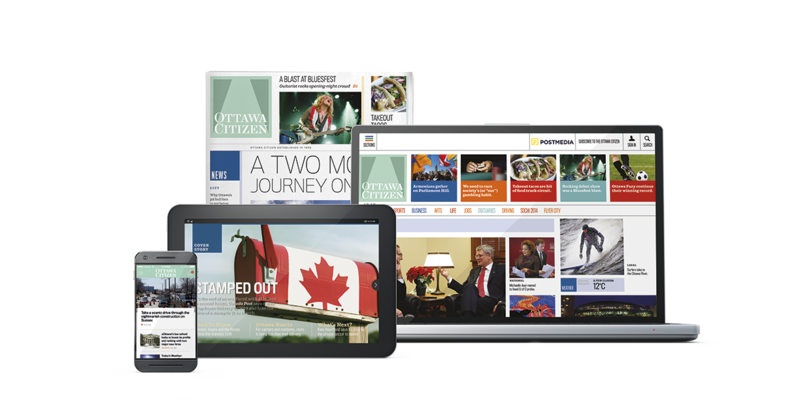 The Postmedia chain in Canada is trying to move beyond that with the launch of a “reimagined” version of its flagship Ottawa title, an attempt to rethink not just print and digital but what a mobile app is (or should be) and how people consume content now in a multi-platform world. The print and website parts of the Postmedia relaunch are fairly straightforward, as these things go. The site is supposed to be cleaner and easier to navigate, and the newspaper looks more modern and focuses on big images and call-outs to the reader that are supposed to draw them in, etc. (whether the ageing readership of the paper version will like this or not remains to be seen). The chain’s mobile strategy, however, is somewhat more interesting: starting with the Ottawa Citizen and rolling out to most of the chain’s titles, Postmedia is launching a mobile app designed for smartphones that has no paywall (all of the company’s newspaper websites currently have metered paywalls) and borrows the “news update” or “snacking” approach used by mobile news apps like Circa, Inside and the recently launched Yahoo News app. As Circa editor-in-chief Anthony De Rosa noted on Twitter, the Citizen‘s phone app even borrows the “follow this story” feature that Circa pioneered, which allows readers to click and have updates on a breaking news event sent to them as alerts. In effect, Postmedia is trying to copy Circa’s focus on the news update as the “atomic unit” of content, instead of just duplicating the existing content from its website for a mobile phone. That seems like a pretty smart approach to me, and I wouldn’t be surprised to see more media companies borrow it. 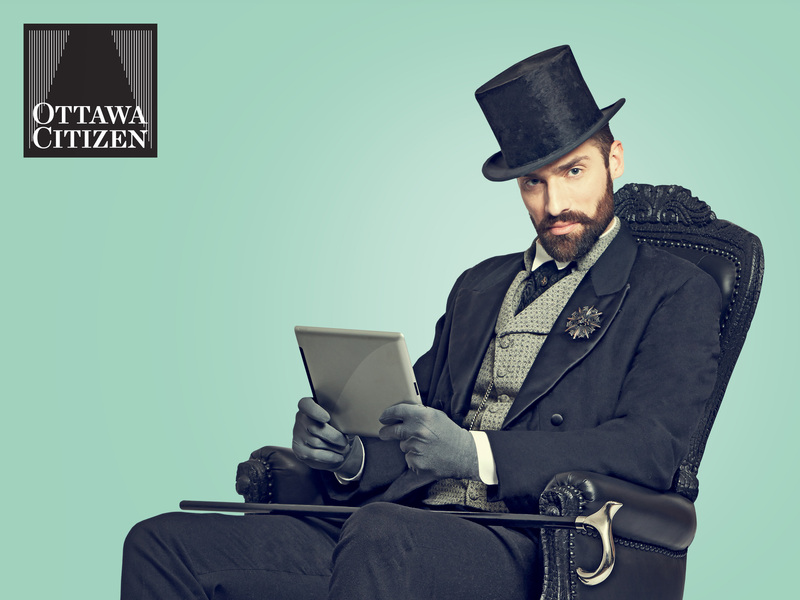 The second thing about Postmedia’s somewhat unusual mobile strategy is that it is treating its tablet app as a completely separate animal from the smartphone app. While the latter is aimed at an audience interested in quick updates, the tablet app is a “lean-back” magazine experience, and will have feature-style content created specifically for it that won’t appear anywhere else. It’s also explicitly designed to be an evening read, the company says — a kind of throwback to when newspapers had afternoon editions — and is subscription based. One major risk with Postmedia’s approach, I think, is similar to the risk that the New York Times is taking by slicing its audience up into smaller and smaller pieces via various apps or features like NYT Now and NYT Premier (with more to come). In a nutshell, the risk is that it fragments its market into so many bits that some people simply avoid choosing any of the various apps or content approaches because they can’t decide which one fits their needs or is worth paying for. And a confusing profusion of bundles and discounts for multiple platforms doesn’t help. Another one of the chain’s major challenges — which it shares with other newspaper companies — is that it has to figure out how to reinvent all of these platforms and content strategies while also saving itself from financial collapse: the chain, which went bankrupt in 2009 and was recapitalized by a group of hedge funds including Alden Global (controlling shareholder of Digital First Media), recorded a loss of $153 million last year and has been trying to cut costs rapidly at the same time as it has been rethinking its content. Parrish said part of the chain’s approach has been to centralize much of its national or international content, which is generated by a central team based at the company’s headquarters in Toronto, and give its newspapers in Vancouver, Montreal, Ottawa and other cities more leeway to focus on news and content of interest to their local markets. The magazine-style tablet app also has opportunities for value-added and video-based advertising, McLaughlin said. I have no idea whether Postmedia’s decision to split its digital audience into three separate markets or usage groups — website readers (who get a metered paywall), mobile-app users (who get short updates and no paywall) and evening tablet readers, who get feature-style subscription content designed just for them — will work or not. But it is an interesting experiment in trying to adapt what used to be a kind of monolithic content-production process to a multi-platform era. Of course this will be a brilliant idea. After all, they’re removing paywalls from smartphone versions. Surprised Matt didn’t bold or all-caps that part. I don’t think this will work, for reasons you hinted at. It’s difficult enough to get folks (especially younger ones with less disposable income) to pay for a news product, but when the offerings are numerous and confusing and vary by platform, that will turn lots of people away. Why not one (simple!) price for all digital platforms, but also geared for each platform as PostMedia is trying — rather than automatically resizing/redesigning for the device (i.e., responsive design), which is really just elegant shovelware. Offer that for a *reasonable* monthly/annual fee, and include up-sells within the PostMedia experience (whatever device the reader happens to be on). Good points as always, Steve — thanks for the comment. The Austin American Statesman is kind of like that … it’s goofy, confusing, and a bit irritating. Mel Hurtig begins by discussing the Canadian media and how we now have the greatest concentration of media in the western world. In fact, he states this would simply not be allowed in any other western democracy. And since these same media outlets control newspaper, television and radio news; we are essentially only being given one voice. There are few or no alternative views. As stated in the video, a healthy democracy should foster a healthy and independent news media. Nothing like holding a real newspaper in your hand and having a good look at it!